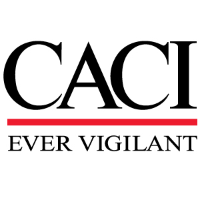 As a CACI-WGI (The Wexford Group International) Counter Facilitation Intelligence Analyst, you will serve on a unique, multi-discipline team assisting IA and IC partners with fusing operations and intelligence information to enhance their efforts against threat networks that facilitate or employ improvised threats such as Improvised Explosive Devices (IEDs) and small Unmanned Aerial Systems (sUAS). As an Counter Facilitation Analyst, you will assist in developing broad Situational Understanding of threat networks and enabling DOD, IA, and IC communities of action to dismantle, disrupt, and defeat those networks. To do this, you will prioritize and categorize requests for support, conduct near- and long-term analyses of device and network-centric problem sets, and fuse multiple intelligence disciplines. You will focus on networks and targets at the operational through strategic levels that are generally located outside of the Combined Joint Operations Area (CJOA), applying a thorough understanding of multi-int collection and Intel targeting methodologies to compile, collate, analyze, and evaluate sources of information associated with improvised threats and their facilitation/use by terrorist, insurgent, or criminal networks. This position will have a maximum 179 day rotation to Stuttgart, GE or Molesworth, UK once every 2 years. Minimum of three years of experience conducting network analysis in support of attack the network operations - including counter-facilitation. Minimum of one year of experience providing direct intelligence support to the IA or IC. Practical understanding of Intel-related databases such as M3, TAC, NCTC Online, TIDE, ICReach SIGINT database, Cultweave, PROTON . Practical understanding of Intel targeting tools such as the Skope toolset or the Voltron toolset. Willing to work rotating shifts if needed. Bachelor's degree and more than three years of experience, or an associate's degree and five years of experience, or seven years of relevant work experience. We will also consider candidates with four years of directly relevant experience. More than three years of experience providing intelligence support to the IA or IC community. More than two years of Intel targeting experience supporting deployed DOD forces. Expert understanding of network analysis tools such as Analyst Notebook and Palantir. Expert understanding of Intel-related databases such as M3, TAC, NCTC Online, TIDE, ICReach SIGINT database, Cultweave, PROTON. Expert understanding of Intel targeting tools such as the Skope toolset or the Voltron toolset.